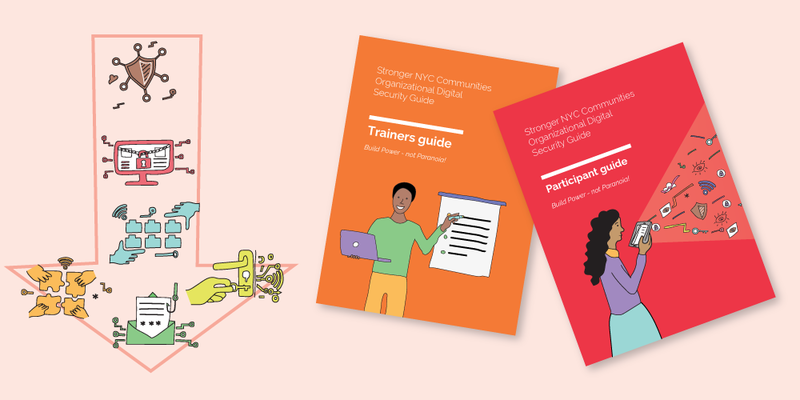 From Fall 2017 – through the Spring of 2018, I got to work with ten other trainers to collaborate on the design and facilitation of a digital security training series for organizations, and our pilot group was organizations supporting immigrants in NYC. Over the Spring and Summer I edited the artifacts and documentation into a PDF guide, available for download via Mozilla here. A workshop is an intentional space, created for learning, changing points of view, and people leave with clear actions to take. Part of the power of a workshop is in its design and leadership. This guide instructs trainers how to inclusively lead a participatory five-part organizational digital security workshop series — or mix-and-match to create your own workshop or series. Whether you follow the workshop content we shared closely, or create your own, there’s a roadmap to help you lead the sessions. Read in details about the workshop objectives and topics on the What’s Covered in the Workshops page.